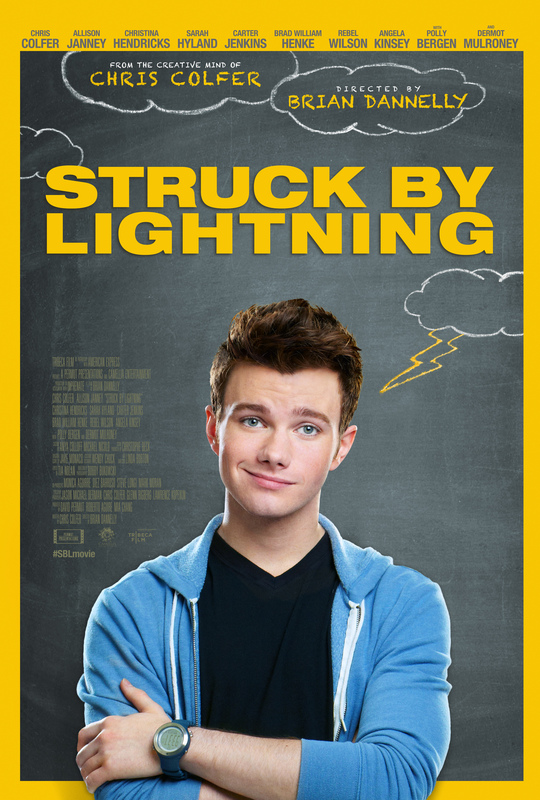 Told in flashback after Carson is struck by lightning and killed, this literally titled movie is a teen comedy-drama that puts its narrator front and centre while also taking a risk in doing so. Carson is so dismissive of everyone around him, adults and peers alike (with the exception of Wilson’s plagiaristic Malerie: “Call me Ishmael”), that Colfer’s script comes very close to making him completely unlikeable. His arrogance, though, is a thin line of defence against the blows he’s experienced throughout his life. From his parents’ break-up – dad Neal (Mulroney) has a new partner, April (Hendricks), who’s six months’ pregnant – to his grandmother (Bergen) developing Alzheimer’s, Carson’s unstable home life has left him sad and permanently at odds with everyone around him. He’s a figure to be pitied though rather than dismissed, and Colfer works hard to make the character more rounded than he appears on the page. Take away Colfer’s performance and you have a character who behaves meanly on purpose, and lacks any sense of proportion in his loathing of his peers (who he doesn’t regard as such). It’s only thanks to Colfer – who clearly understands Carson completely (and so he should) – that the role isn’t continuously one-note and irritating. It’s the script and the performances that resonate the most. Colfer has a good ear for the rhythms and diction of high school teenagers, and though some of Carson’s co-seniors border on the stereotypical, there’s enough depth and detail provided by the mostly young cast to offset any over-familiarity (plus they’re having a lot of fun at the same time). Amongst the adults, Janney is good value as ever, giving Sheryl a weary self-awareness beneath the character’s own tattered dreams, while Mulroney’s feckless father is a purely comic creation that the actor also has a lot of fun with. 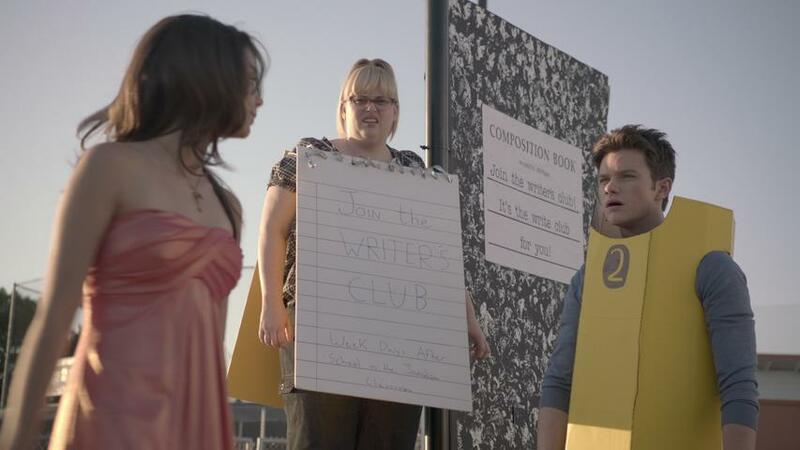 Colfer adds a handful of sub-plots to his tale of foiled ambition, with the most notable being the awkward relationship between Sheryl and April, and there’s a strong sense of carpe diem that is used to spur the blackmailed students into writing for the magazine. Dannelly keeps things amusing and laced with teenage angst as appropriate, and the whole thing relies on an easy-going if pointed charm that works well in supporting the material. There’s a good balance between drama and comedy, and Colfer is a confident enough writer that he can mix the two in the same scene without it feeling contrived. And for a first-time script, that’s impressive. Rating: 7/10 – an underdog movie where the protagonist doesn’t overcome all the challenges thrown at him, Struck by Lightning is instead an often witty, acerbic comedy of despair that doesn’t short change its main character or the audience; a familiar tale that can’t always shake off its more prosaic influences, it’s still a movie with a lot to offer, and several moments of (very) impressive and inspired humour.